Your Source for Evanston WY Real Estate! Welcome to Evanston, Wyoming real estate market! Find your new home in a community of roughly 12,500 residents with good all-American values and a family focus. Evanston enjoys a unique quality of life. Nestled in the Bear River Valley, the city is framed to the south by the majestic Uinta Mountains. The Bear River flows through the community meandering past Bear River State Park where elk and bison roam, and a community parkway where deer and people play. Our enviable quality of life is cherished by those who visit and live here. In Evanston, fresh mountain air invigorates your body's senses. Freedom allows you to kick up your heels. Fun keeps you smiling during 300 days of sunshine annually. If you're looking for information about buying a home or selling your home in Evanston, Wyoming or the surrounding area, you have come to the right place. The Michael Eastman Group you will find our team of professionals to be enthusiastic, concerned and honest professionals with a genuine commitment to share their deep knowledge of the local real estate market and the experience necessary to guide you through your real estate transaction form start to finish. Whether you are considering buying a home, selling a home or both, we know Evanston area inside and out. Featured Property for Sale: Some of the best properties for sale are displayed right here. As experts in the Evanston real estate market, we can provide you detailed information on these homes, or any others! 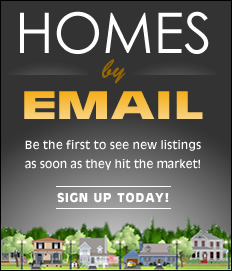 Email Listing Alerts: Be the first to know what's coming up for sale in the Evanston WY real estate market with our New Property Listing Alerts! Just tell us what you're looking for and we'll email a daily update of all homes listed for sale since your last update. You can unsubscribe at any time.